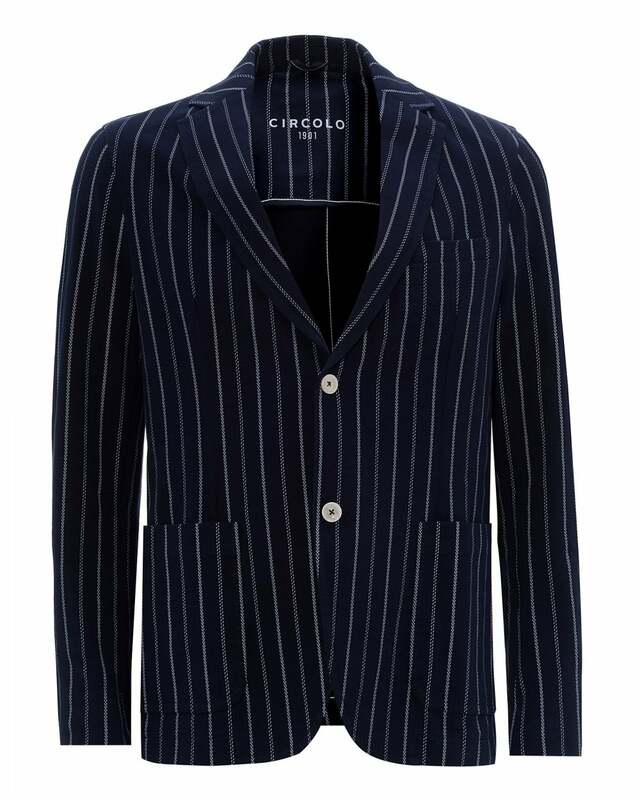 Complete your smart outfits with this stretch cotton blazer by Circolo 1901. Adorned with white stripes over a blue base, this jacket features a notch lapel, double vents and a two button closure. A luxurious and refined piece that can be used from business meetings to smart casual events.